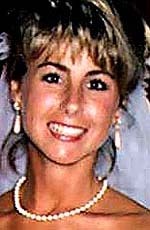 Madeline Amy Sweeney never went looking for fame, but fame found her on Sept. 11. Her 15 minutes were the last of her life. 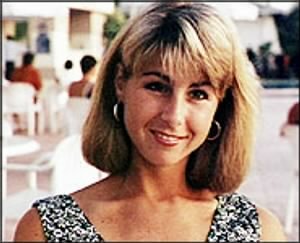 Mrs. Sweeney, known as Amy, was a flight attendant aboard American Airlines Flight 11, the first plane to strike the trade center. She called a ground supervisor by air phone and relayed information about the hijackers that gave the F.B.I. a head start on the investigation. Mrs. Sweeney’s grace under pressure did not surprise her husband, Michael Sweeney, of Acton, Mass. “She would have said she was just doing her job,” he said. Congressional and state officials in Massachusetts have written letters to President Bush, asking that Mrs. Sweeney be awarded the nation’s highest civilian honor. With it, Mr. Sweeney hopes to be able to tell his children, Jack, 4, and Anna, 6, about their mother’s bravery that day. Her career took her to Bali and Hong Kong, but she also found adventure on Colorado ski slopes and Cape Cod beaches. With Flight 11, nonstop to Los Angeles, she kept a standing date for lunch with Lynn Blaylock of Irvine, Calif., who was supposed to meet her at the airport that morning. “She was an amazing, amazing woman,” Mrs. Blaylock said, remembering their devil-may-care road trip out West after college. On Dec. 14, Mrs. Sweeney would have turned 36, so those who miss her gathered at her favorite Mexican restaurants on two coasts. In California, they reflected on the woman who always saw the silver lining. And in New Hampshire, Melanie Bergerson collected paper messages to her oldest friend and put them inside a balloon, then set it free to touch the sky.